Fairy Tail's Ever-Growing Popularity Expands with Double Episodes! You can now follow Natsu Dragneel and his guild of wizards with all-new double episodes of Fairy Tail Mondays and Tuesdays 10pm (9pm JKT/BKK, territories apply) on Animax. Since its debut as a manga series in 2006, Natsu (a courier who suffers from motion sickness), Happy (his flying cat sidekick, Lucy (a whip-wielding celestial wizard) and the other members of the Fairy Tail wizards guild have grown in popularity making it one of the biggest fan-favorite anime series currently on air. Fairy Tail comes from Hiro Mashima, the creator of Rave Master, and the popular manga artist cites J.R.R. Tolkien (The Lord of the Rings) and Akira Toriyama (Dragon Ball) as inspirations for his magical adventure set in the Kingdom of Fiore. Over the past 10 years, the series has continued to gain as much popularity as the beloved franchises that inspired it, as Fairy Tail merchandise (including a series of Funko POP! Vinyl figures), cosplay and fan groups are becoming more common sights at fan conventions worldwide. 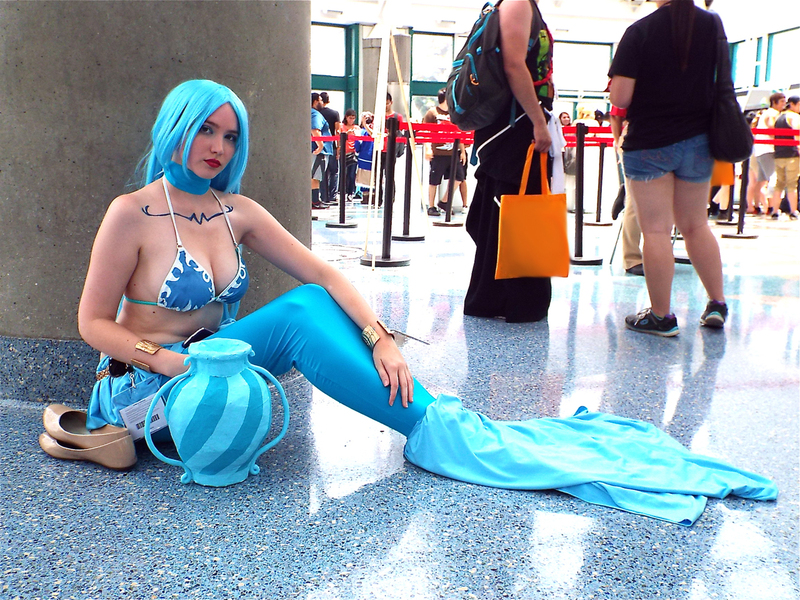 A Fairy Tail fan at Anime Expo in Los Angeles, California cosplays as Celestial Spirit Aquarius. With every adventure from the wizards guild, Fairy Tail becomes a bigger pop culture phenomenon, and you can be part of Natsu and his friends’ big adventures twice a week as Animax airs all-new double episodes!